Smooth Fitness treadmills offer numerous innovative features that make them a compelling choice if you’re looking for a full featured treadmill. Smooth Fitness offers an exceptional variety of treadmill models designed to fully meet the needs and expectations of fitness buffs including the popular 9.45TV treadmill model as seen on television. Smooth Fitness 5.65 folding treadmill offers a number of features which make it an excellent choice if you’re looking for an affordably priced yet full featured treadmill. The 5.65’s Im-Pression shock absorbing cushioning technology makes running easy on your joints by providing a soft landing for your front foot while simultaneously providing firm push-off for your rear foot. This produces a more comfortable, low impact workout which means that you can run longer and burn more calories. Adjusting the controls is a breeze due to Smooth Fitness’ QuickChange technology. You can easily adjust the speed and incline with the controls which are conveniently located on the handrails. 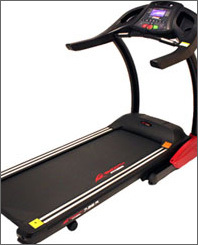 Smooth Fitness stands behind every treadmill that they manufacture and they completely guarantee your satisfaction. Simply purchase your machine (direct from Smooth Fitness) and put it through its paces for up to 60 days. If you're not 100% satisfied with the results, simply contact their customer service department for a Return Merchandise Authorization number and return the machine (including any accessories) in its original condition and packaging to receive a full refund, less shipping & handling. Item must be received no later than 10 days after your return authorization is issued. 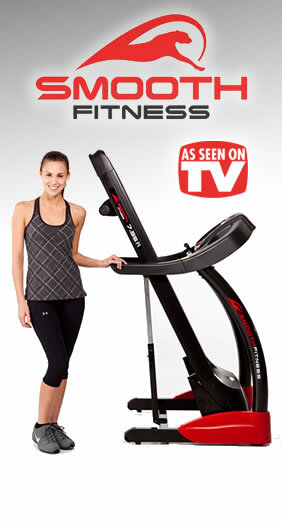 The Smooth Fitness 9.45TV treadmill represents the pinnacle of fitness technology from Smooth Fitness. It offers numerous notable features including a built-in 15" LCD television, Hydra suspension system for exceptional comfort and the Smooth Fitness wireless heart rate control for a workout uniquely tailored for your body. Add in hands-free controls, full-sized 20"x60" running surface, exceptionally quiet operation and commercial-grade components and you've got the most full-featured treadmill Smooth Fitness has ever offered. The Smooth Fitness 9.45ST is the perfect choice if you're looking for a treadmill that offers all of Smooth Fitness' top features but you don't need the built-in TV. Smooth Fitness features such as Hydra suspension system, QuickChange hands-free motion control, a treadmill belt that incorporates Whisper Weave technology, wireless heart rate control, 20"x60" running surface, and a commercial-grade motor and treadmill deck are all included in this exceptional, full-featured treadmill. 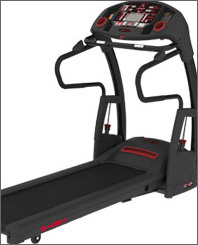 The Smooth Fitness 9.35HR treadmill offers the important features you expect in a quality treadmill from Smooth Fitness. 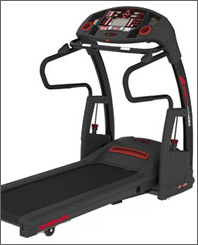 Innovative features like wireless heart rate control technology for a personalized workout, Hydra suspension system with adjustable cushioning, QuickChange hands-free control, spacious 20"x55" running surface, commercial-grade deck and heavy-duty 3 horsepower motor, and much more all add up to a full-featured and competitively priced treadmill. The Smooth Fitness 7.35 treadmill is a full featured treadmill that's easily folded for space savings when you've finished working out. 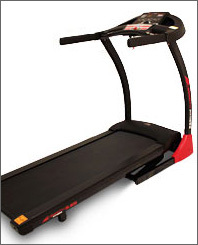 Features such as the SmoothDrop frame which uses gas shocks to make folding the treadmill for storage so effortless that even a child can do it, Im-Pression shock absorbing cushioning technology, large 6-1/2" SmoothControl display, wireless heart rate control, heavy-duty commercial-grade 3.5HP motor, and an exceptionally roomy 20"x62" treadmill surface all culminate in a high quality treadmill. The Smooth Fitness 6.75 treadmill is a more affordable folding treadmill which also offers Smooth Fitness' exclusive SmoothDrop folding frame and Im-Pression shock absorbing cushioning technology. 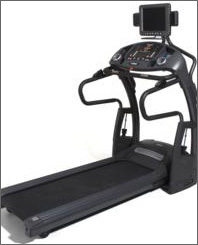 In addition it also features the Smooth Fitness QuickChange hands-free control, Whisper Weave technology for a more quiet treadmill belt, wireless heart rate control and the easy-to-read ViviClear LCD display. 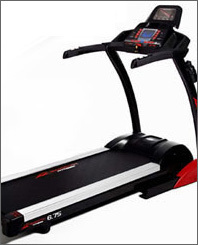 All in all the 6.75 is a feature-rich treadmill available for an affordable price. The Smooth Fitness 5.65 treadmill offers the essential features you expect from Smooth Fitness in a well built and affordable folding treadmill. Features such as the SmoothDrop folding frame, wireless heart rate control, QuickChange hands-free control and Im-Pression shock absorbing cushioning technology all add up to a top quality treadmill that won't break the budget.